Lauren wanted to go with earthy tones and use pictures that emphasized nature. We deployed a WordPress installation on a new domain, laurensaletan.com. using an ElegantThemes premium WordPress theme. The site was optimized for search and is responsive, rendering appropriately on mobile devices. Our package included training so Lauren can blog about topics of interest and develop the site herself. We also ensured that Lauren’s new site would be found on relevant local business directories, and linked with her social media accounts. The site includes Google Analytics and security plug ins – essential for a well functioning site. 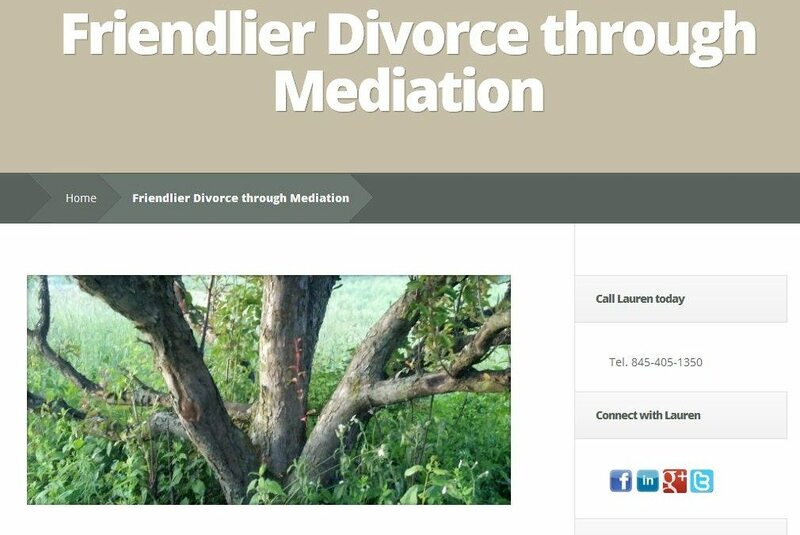 It was an absolute pleasure to work with Lauren and we wish her well as she tackles the field of divorce mediation.